Lyme disease seems to be on everyone’s mind these days. Many people who have been dealing with a chronic condition have considered Lyme to be the culprit behind their illness at some point. Be it constant fatigue, joint pain, brain fog – Lyme is often considered to be the real offender behind many ailments. Some doctors claim to have evidence that the bacteria can be found in nearly 100% of the US population. It is often mentioned as the underlying cause for conditions ranging from Alzheimers, Multiple Sclerosis, autism, chronic pain, food sensitivities, or fibromyalgia. Consequently, whenever a new antimicrobial therapy emerges, many people want to know “Can it cure Lyme disease?”. Given that ozone is one of the most potent germicidal agents (see Dr. Rowen’s and Dr. Robin’s account of 5 Ebola cases cured with ozone), there is a lot of interest in ozone treatments for Lyme. In my last blog article I talked about the Ozone High Dose aka 10 Pass method: what it is, who its inventor is, and how it is applied. In this installment, I will answer the question whether the Ozone High Dose is the right approach to treat chronic Lyme infection. Are you one of those people who consult Prof. Google to find out whether a remedy works? I am. What is more convincing than a well documented case of a person having overcome a debilitating illness? Ideally, with the help of a natural remedy? Even better: if there is more than one such a case? If you ask me, I take a detailed account of a person having cured a so-called “incurable” disease over a study anytime. Scientific studies are considered to be the most convincing evidence these days. But, they can often be misleading. Numbers can be played with to show any possible association, the abstract often says the exact opposite of the actual conclusion of the study, financial ties are not disclosed or obfuscated, observational studies are used to show a causative effect (which they can’t, by definition), or they are not reproducible, or simply junk. Often, there are no relevant studies for alternative remedies available to begin with. Isolated accounts of people on the internet of course have their own problems. Often, the patient employs several remedies or therapies at the same time, so it is difficult to say which one had the critical effect. Or the person is not available for further questions, so it can be also difficult to verify whether the improvement was lasting. Then, there is the tendency for hyperbole, or sometimes the opposite: understatement. Ozone High Dose – too early to evaluate? With Ozone High Dose Therapy, there is another issue: the therapy has been used only for around a year. Due to its novelty, there simply are not enough reports to be able to draw a relevant conclusion. Below, I will present the few cases of people who have been diagnosed with Lyme and did employ OHT. They are available on Dr. Rowen’s Youtube channel and the Facebook group “Ozone to Health”. The following video from Dr. Robert Rowen’s channel shows a young woman who has seen a nearly 100% improvement in her Lyme symptoms after just one Ozone High Dose. This young man reports an improvement of around 80% after 10 Ozone High Dose sessions. A member of our Facebook group “Ozone to Health” who has been diagnosed with Lyme disease, says that 14 sessions of the OHT have improved his health by around 50%. Low energy, chronic pain, and brain fog improves with an indeterminate ozone protocol. This patient of Dr. Rowen’s has seen “dramatic improvement” with what I assume was Major Autohemotherapy. Here Lyme symptoms dissolve with ozone injected into tonsils and rectal insufflations. – One person reports that intravenous ozone (DIV) sessions killed a Bartonella (common co-infection with Lyme) infection. – A mother reports that her daughter’s Lyme tests turned from positive to negative after doing ozone saunas combined with ear insufflations. – Another mom says she has been seeing “very positive results” in her 13 year old child with ozone saunas, drinking ozonated water, and ear insufflations. – Yet another person says she feels 100% better since using ozone at home for Lyme and Rocky Mountain Spotted Fever. – Another woman says she is seeing huge gains in her two Lyme infected children after doing ozone ear insufflations. She further says that adding ozone was “a game changer” for her own well-being as well. Of the above cited cases, it is not clear what tests or diagnostic methods were used to determine the infections. Why do some Lyme sufferers not respond to Ozone Therapy? Just as there are people who have made a powerful experience with ozone, there are Lyme sufferers who either have not had any positive effect from ozone, or only a partial one. Not even from prolonged ozone therapy and not even from such whopping amounts of ozone as supplied during a series of 10 pass administrations. One such case is a member of the above mentioned Facebook group who has been suffering from debilitating fibromyalgia due to Lyme disease. She completed 2 weeks of daily OHT sessions at Dr. Lahodny’s office. The severe Herxheimer reaction didn’t allow her to finish the course at the same intensity. Continued intravenous ozone administrations at home and other ozone protocols had only a minor effect on her. She now undergoes a course of three different antibiotics, which so far have made a huge positive impact. Some have not experienced any effect from 20+ ozone IVs, neither to the better or worse. Some rare cases of people experience a worsening of their condition after doing ozone in which an adverse reaction to glutathione can be excluded. When could you be dealing with mercury poisoning instead of Lyme disease? Have you tried several different antibiotics without ever seeing any positive change in symptoms? Have you never had a bull’s eye rash and never tested positive for Lyme on the Western Blot? Has no test ever detected at least a few bands of the bacteria? If so, there is a strong possibility you might have received a misdiagnosis for Lyme and mercury toxicity could be the real culprit. Where could you have received toxic levels of mercury? – Amalgam fillings, even if they were removed years ago. Mercury deposits do not go down with the removal of amalgam fillings. The amalgam is gone, but the mercury is still there. Doesn’t matter if your fillings were removed 20 years ago. Mercury stays in your brain forever. 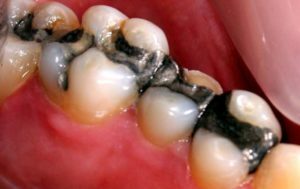 Amalgam fillings contain 50% mercury. Do have them in your mouth? Get them out safely, ASAP. Have you EVER had them in your life? If so, you could be mercury poisoned. When is it time to consider mercury toxicity? “My daily symptoms include migraines, shortness of breath, chest pain, joint pain, brain fog, panic attacks, adrenal fatigue, feeling faint, dizziness, nausea, digestive problems, pressure in my head and depression from the situation. Without knowing how she was diagnosed with Lyme disease and whether she has mercury toxicity or not, all of those symptoms are also very often found in mercury toxic people. They often resolve with proper mercury chelation. For further reading, go to the “What mercury does to you” section on this website. – You have done multiple courses of various antibiotics without EVER experiencing any improvement in your condition. – You take antibiotics and you experience side effects which you are told are a Herxheimer reaction. Yet, you never feel better only worse. 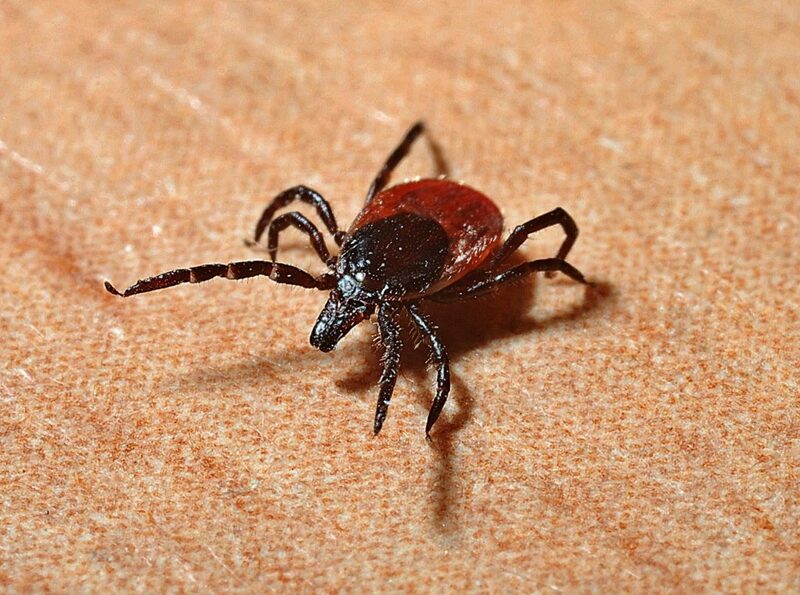 Some antibiotics used for treating Lyme are bacteriostatic, not bactericidal. It is questionable whether bacteriostatic drugs can create a kill-off at all. Bacteriostatic antibiotics inhibit the growth of bacteria, allowing the immune system to take care of the infection. In most cases, they should not trigger a Herxheimer reaction. Such a reaction is more common with bacteriocidal agents. If you feel continuously worse on antibiotics without seeing any improvement in your symptoms, you might want to consider the possibility of this being an allergic reaction to the antibiotics due to an impaired liver, which is another indication for mercury toxicity. – You have undergone ozone therapy treatments for years with only minor improvements or your improvement is stalling. – If you assume your child has contracted Lyme while in utero, yet the child does not respond to antibiotics either, look for mercury poisoning which the child could have acquired in the womb from its mother. Did the mother have amalgam fillings while pregnant? Did she receive flu vaccines? Did the child receive vaccines? – You have experienced profound side effects after receiving glutathione IVs, which are often given with ozone administration. You feel depressed, suffer from insomnia, your cognition is impaired, or you just feel awful. It was explained to you as a die-off reaction due to the ozone. What is more likely is that you experienced a redistribution of mercury, which is what glutathione (being a single thiol agent) does, especially in people with high plasma cysteine. Ozone and oxygen are excellent anti-depressants, it’s very unlikely to feel more depressed after administration of oxygen. – You have experienced an adverse reaction after high doses of DMPS, DMSA, ALA, or EDTA. Or you experienced an adverse reaction after an urine challenge test. – Your symptoms spike or go out of control after the consumption of cilantro or chlorella. You “feel like dying”, have severe headaches, neuropathy, or feel very sick. Those natural compounds have the ability to mobilize and redistribute mercury into the central nervous system. Unlike what many alternative practitioners believe they cannot be used as mercury chelators. – You’ve been taking ALA once or twice a day for years and after an initial improvement now feel much worse without an apparent explanation. Infrequent dosages of ALA will lead to a redistribution of mercury into the central nervous system. Often, there is a delayed reaction. First, people feel better. Months or even years later, there is a dramatic worsening. For clarification: I do believe there is such a thing as chronic Lyme disease, both with and without accompanying mercury poisoning. In which case a course of 10 Pass therapy could be indicated. There is a new exciting kid in the ozone world and the hype machine is in full effect. The results of the 10 Pass method are often astounding and defy the prognosis of conventional medicine. Yet, often the therapy does not live up to what its inventor promises. Far from curing chronic infections with just a few applications, patients sometimes see themselves spending tens of thousands of dollars without finding the final answer to their physical problems. Ozone can be a superb remedy, and speaking from personal experience, sometimes more ozone turns out to be even more superb. Yet, it has one major drawback: it will not remove mercury, in spite of what some of its greatest advocates assert. Mercury inhibits the immune system, often enabling chronic infections. Before jumping into a costly therapy like the OHT which might turn out to be of only partial or temporary benefit, it might be a good idea to check for mercury toxicity first. If you’re convinced you have Lyme disease and want to use ozone to treat it, a better approach is to try a less costly form of ozone therapy first, like Major Autohemotherapy, Ozonated Saline IV, or DIV. If there is a positive response, a more intensive treatment like the Ozone High Dose could be indicated to speed up the process. Do you have comments or questions? Do you think I misrepresented something? Do you want to rip my head off? Let me know in the comments below. My first response would be that it helps alot with symptoms of inflamation and it may kill the lyme bacteria that are in the blood stream. but are there no Herx reactions right after the 10 pass and the amelioration of symptoms ? logically there should be if there is a massive die off? There is a train of thought that says chronic lyme “symptoms” are from too much residual immune response. perhaps the 10 Pass eases that response some way. I also doubt that the ozone would be getting into the biofilm and nooks and crevices, deep tissue, where spirochetes are said to hide. There needs a computation of bad bacterial burden load and how much of this is killed based on how much ozone. Personally, i felt a little better for a couple hours (maybe) from ozone insufflation but have found steady improvement from finding the right cowden tincture (enula) to kill the suspected variety of bacteria (babesia-like) in the body. If i had a doctor near me doing 10 pass i would definitly go and do it…. Some people experience extreme Herxes. One of the people I mention went through such a proufoundly uncomfortable Herx that she could not finish the whole series of 10 Paaes. I am going through them right now. I am at number 4. The first 3 were easy. Number 4 made me feel like my blood was over saturated and I was extremely sick at best. I am doing the 10 pass. I lay on a bemer machine first which opens my micro blood vessels before starting the 10 pass procedure. My breathing was 100+ % better after the first one. Joints became better after #2. I had some stomach irritation after 2 but not bad. #4 nearly killed me. I have a couple more to go and I get a new blood test November 9.. Can’t wait to see if it works. Also, I have found continued benefit in doing the andy cutler low dose chelation. that seems to be having benefit as well. But taking it slow and easy being careful not to over whelm the body with too many protocols. Great to hear you’re liking the Andy Cutler protocol! How does the 10 Pass compare with DIV? It’s certainly different for different people. As far as amounts of ozone are concerned, 10 Pass certainly wins that race. What is a good approach to mercury chelation then? Please, also join the Facebook group “Andy Cutler chelation think tank” where you will find close to 13,000 members all learning about the protocol or actively chelating. You will also find Andy himself there, who answers questions. Great article Paola! I am always pleased to benefit from what I feel is your divine path. How does a person determine if their veins are in good enough shape to take all 10 passes, or they should only get, say, 5 or 6? I’m not sure one can determine that very well beforehand. But a good indication could be if you never had nurses complain about your veins when going in for a blood test. Also if you have big, visible, bulging veins. Bigger veins are more likely to better withstand the repeated puncturing and pressure than smaller ones. I am currently getting MSH ozone therapy and being told that DIV is not safe. Would appreciate your imput! What is a MSH ozone therapy? DIV is one of the safest methods there is. Of course it needs to be performed by someone properly trained. A form of DIV called “Oxyvenierung” which is the injection of pure oxygen into the vein has been performed in Germany for the past 50 years without a single incident. Dr. Robins says he performed over 200,000 DIVs in his practice in NY in the past 30 years. If it’s done with proper equipment by properly trained personnel and very slowly, there is very little that can go wrong. Very interesting stuff. My girlfriend sent me a link for suzy cohen on killing babesia. I guess her husband seuffers from Lyme. She said if you have a type of gentic mutation then ozone is not good for you. Have you heard this? Also, I have lyme and coinfections and have high lead and mercury and gadolinium. How should I proceed with these results? What type of genetic test did you do and what does it show? You can do ozone therapy with high lead and mercury, but I would look into where this is coming from. If it is due to current exposure, I suggest you remove the sources first. Then start chelating. Ozone can be helpful with symptom management. But in order to take care of the metals, you will need to take chelators. I have mercury and Lyme. I’ve already done Cutler chelation for a long time. Now I’ve started ozone doing for the Lyme according to the instructions on this site (RI, EI, water, oil breathing, body suit, and some 10 passes) for about a month. At the beginning the ozone looked promising and I would temporarily feel a little better after a treatment but it had less of an effect as time went on. What is the minimum amount of time to know if it is worth continuing? All I see online are youtube videos of people miraculously cured after 1 or 2 treatments but that’s not happening for me. Thank you. “What is the minimum amount of time to know if it is worth continuing?” – This varies a lot. But what you are describing sounds as if you had exhausted all that ozone could give you, especially if the 10 pass was part of the repertoire. When was the last time you did a 10 pass? How long have you chelated with Cutler? What was the highest dosage you reached? I’ve chelated for a few years now with 100 mg ALA and sometimes bigger doses. I stopped feeling anything from chelation a long time ago. It helped some things but I am still very sick. I’ve been doing ozone at home and also at my doctor’s during this past month. how many 10 passes have you done so far? I was doing high concentration (~90gamma) Ozone insufflations along with herbal anti-parasite supplements and came down with out of control nose bleeds. After stopping all treatments I continued to have nose bleeds and skin bleeds that would not stop for several weeks. In my search to fix the bleeding problem I read somewhere that Ozone can oxidize the Hg in the brain and knock it loose. I had about 10 amalgam fillings for most of my adult life that were also removed incorrectly. So I decided that I would chelate using Andy Cutler’s method. I chelated just two rounds with DMSA and all of the bleeding stopped. Since then I have had a few more bleeding episodes, and each time the DMSA stopped it cold. I am thinking that getting Hg out of the brain might be effected by the combination of high concentration Ozone followed by an outside chelator like DMSA or DMPS. Of course, one can follow the Andy Cutler protocol using both inside and outside chelators. The take away here is that Ozone application might exacerbate an underlying HG toxicity. Which might explain why certain people benefit from high Ozone treatments and others feel much worse or become very sick. I was originally diagnosed with Lymes in 1997,and it has come and gone over the years.with different treatments.Recently I have started IV ozone treatments. I started with a 1 pass, then 3 pass, 5, then 10. When I went to the 10 pass My blood started to clog the filters and there was a sludge in the egg,and it took a long time to pool and return after my 4th Pass.They had to start a new iv with a new line.to complete the 10 pass. On my second 10 pass attempt it took 3 eggs,3 IV’s and 2 1/2 hours to complete.One egg of blood had to be dumped as it would not return. I took aspirins from 2 day earlier and the day of and drank a lot of water. My Nurse is also highly experienced.I also have Thalassemia minor. When The Iv is started my blood flow is great however after 1 or two passes it seems to clot up.Could the Iron from the lymes die off be combining with the natural die off of red blood cells from my talasima that is causing this clotting? I feel great after the treatments.I am also taking rocephin thru a picc line daily. My Dr. put me on Nattoinase 36 mg 2 3x daily and Lumbrokinasen 32 mg 1 2x daily in a attempt to thin out my blood. Do you have any thoughts one my clotting situation and the possible complications from Thalassemia minor.I appreciate an thought you may have. I’m sorry but I don’t know what could be causing this complication. I think the Nattokinase is a good idea. See if this will make any difference. Do you drink sufficiently prior to the 10 passes?